Welding can be a challenging, rewarding occupation for the right person. There are many reasons why pursuing this occupation can be a gratifying career choice. For someone just beginning to think about career options, here are three good reasons to consider attending an accredited vocational school to pursue welding training as your next big career move. Student debt is a weight that hangs around the necks of many college and university graduates. In fact, recent estimates5 show that the average student owes about $29,400 upon graduation. This is no small sum of money, especially for those who are not able to find a good job after earning a degree. Moreover, some even claim that an expensive college education is not even worth the money anymore. Former New York Mayor recently advised high school students to forego college and become a plumber instead2. Thankfully, welding does not require that you have a college or university degree. While you do need welding training, you can obtain this by enrolling in a vocational program at a technical school like TWS. Such a training program can be completed in as little as 7 months. 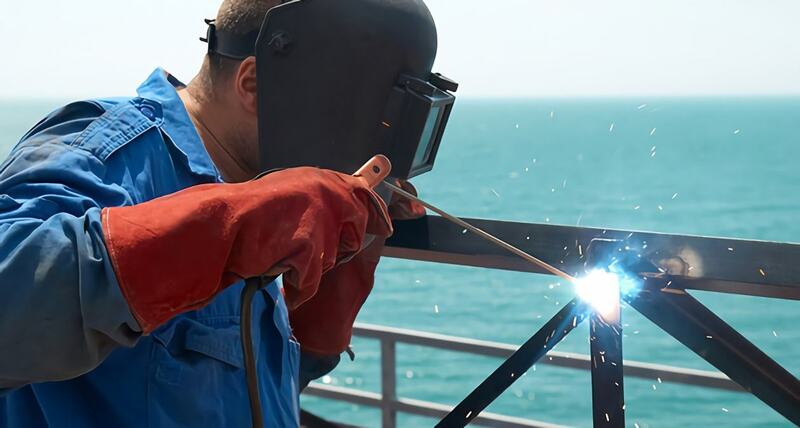 Furthermore, welding training prepares you to qualify for an entry-level position, which means it is possible to start earning a decent salary in less than a year. After a few years, you can also advance to higher positions with increased earning potential like welding inspector. If you compare that to (at least) four years of college, student loan debt, and possibly another 6-12 months of internships, it’s easy to see why welding can be such an attractive career choice. Some people choose a career for the sole reason that it is lucrative and/or there are plenty of job opportunities available. While earning potential and job availability should certainly be taken into account when you choose a career, you should be sure to consider your passions as well. Work is particularly enjoyable if you pick a career that is in line with your talents. Welding has sometimes been described3 as an art rather than a craft, a description that many beginning and experienced welders alike would agree with. While welding requires a great deal of precision, there is also much room for creativity. Moreover, new methods and tools are continually being developed, which means that a welder will be able to constantly learn new tactics and work with different types of equipment. Welding allows you to work with your hands rather than at a desk, which plenty of people find immensely fulfilling. Depending on the type of welding job you get, you may also have many opportunities to travel and work in various types of environments. Additionally, you may even be able to pick and choose your assignments and thus enjoy a flexible work schedule. While most welders make up to $40,000 a year, there are plenty of welding job openings that allow you to earn well over twice that amount. As was noted above, these lucrative career options do not require that you have an associate or bachelor’s degree; however, you will need to be flexible regarding where and how you work. In addition, the U.S. Bureau of Labor Statistics 1 reports that welders who are well versed in the latest technologies have the best employment prospects. For example, rig welding is a quite lucrative specialty. While you will have to travel a great deal and be willing to spend months at a time on a rig, the average rig welder earns $90,000 a year. Another welding field that pays well is electrical power welding. Welders who work in this field are typically employed by power companies, state-owned companies or the Federal government. Welders working in power generation need specialized safety training but can earn about $75,000 as a starting salary. If you are looking for a career you can enjoy, then you may want to consider a career in welding. There are many forms of welding to pick from, allowing for opportunities to find a job that best suits your aspirations. Welding can pay well and you will not have to worry about the type of student loan debt that you would expect from a university. What is more, there is a shortage of skilled welders4 that is set to grow more acute in the coming years. All told, welding has much to offer anyone who wants a hands-on, rewarding job that promises to be relatively in-demand in the coming years.